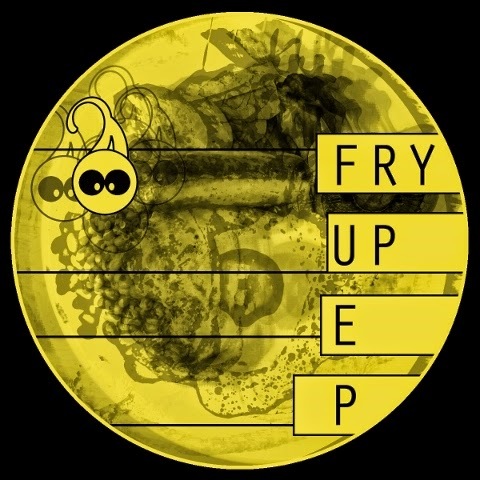 A new showing of veteran techno by two top acteurs active from the mid-1990s when Bill Youngman and Neil Landstrumm give with “Fry Up” a convincing proof of well-preserved skills. Collab tracks are found on the A-side and the EP gets a slamming start in “Cannon”, a synthesis of technoid italo riff and brisk sub-bass. “Venus” opens in psychedelic moods, reminding of Black Devil, but it’s a truly battering techno cut with hyperactive synth modulations on rock-solid bass. The B-side belongs to Landstrumm’s harsh funk when “Roulette” is carried by a fat synth line and “Wall” gives a tribute to techno’s adolescence from the times of Model 500 space techno, UR’s combat tracks, Belgian rave hoovers and Warp’s bleepy artefacts. “Fry Up” is released by Snork Enterprises in Giessen, Germany. Boasting a catalog of over 120 releases by Paradroid, Cristian Vogel, Norman, the label founder Syntax Error and others, Snork has actually not been a front row label but shows the ability for swift body boosters.